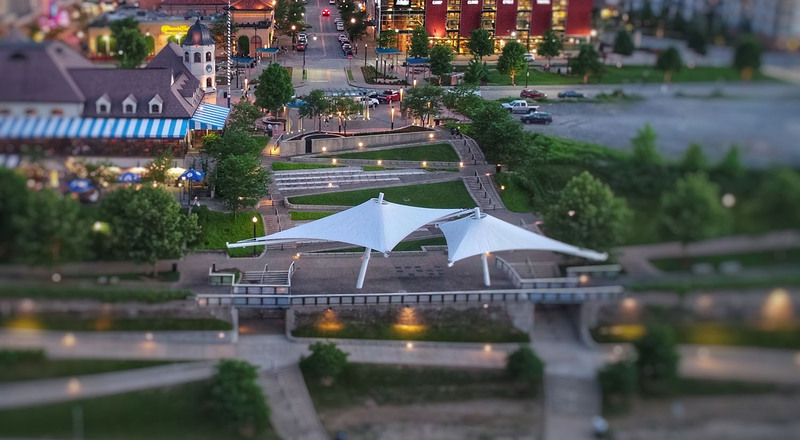 To develop a memorable, universally accessible gathering space which connects SouthSide Works visitors to the river, Three Rivers Heritage Trail and the Eliza Furnace Trail on the opposing shoreline. EPD led a multi-disciplinary consulting team and developed the South Shore Riverfront Master Plan and construction documents. 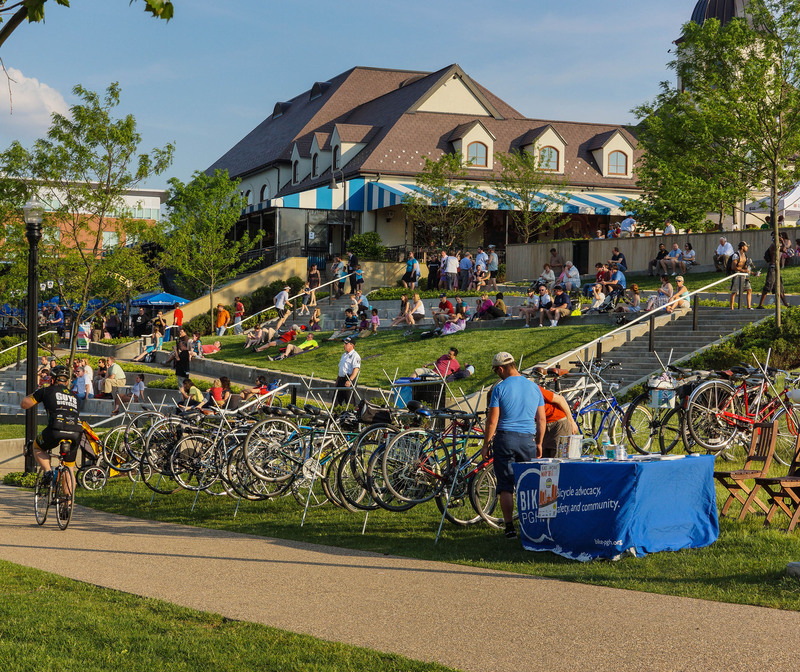 The Riverfront Park Master Plan addresses the river frontage along the Monongahela River and the SouthSide Works development, a 130-acre brownfield site. 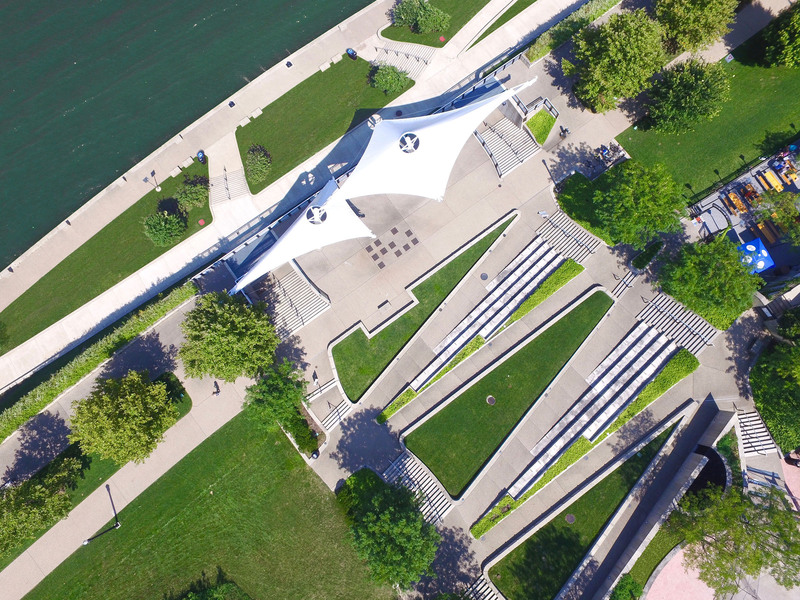 The Riverfront Park Master Plan provides South Side residents with a major public venue and enhances the riverfront identity of the South Side. 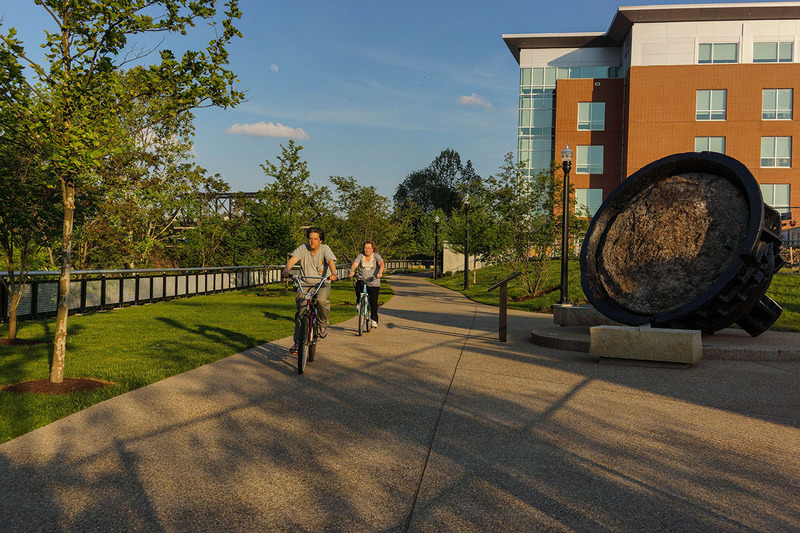 The riverfront experience provides several public spaces including the Piazza, RiverPlace, Promenade and River Landing. 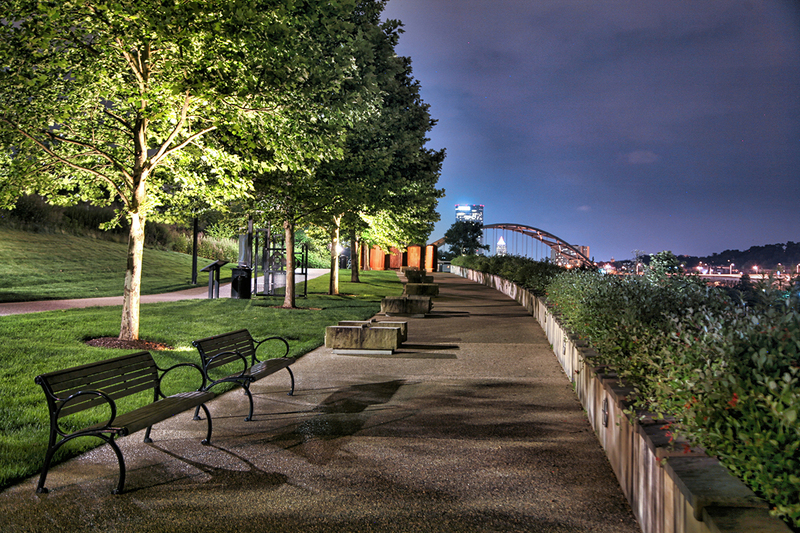 These spaces are popular destinations for pedestrians, cyclists and boaters offering unique vistas of the Downtown Pittsburgh skyline and the river. 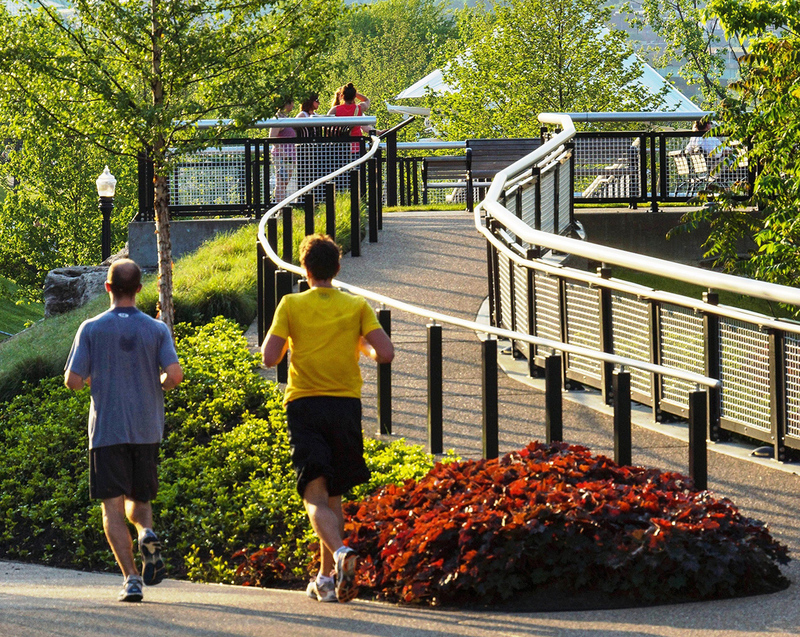 Despite more than 35 vertical feet of grade changes between the upper plateau and the river’s edge, all circulation routes and amenities have been designed to be universally accessible and form an important part of the Three Rivers Heritage Trail system and Great Allegheny Passage. Green initiatives constructed as part of the design, include cisterns to capture grey water to be recycled for irrigation as well as the use of native plant materials to reduce irrigation needs. Found artifacts from the site’s past uses were re-purposed and connect users with the history of the site history. A former pump house was also converted into a scenic overlook providing views of the river, downtown and Hot Metal Bridge. 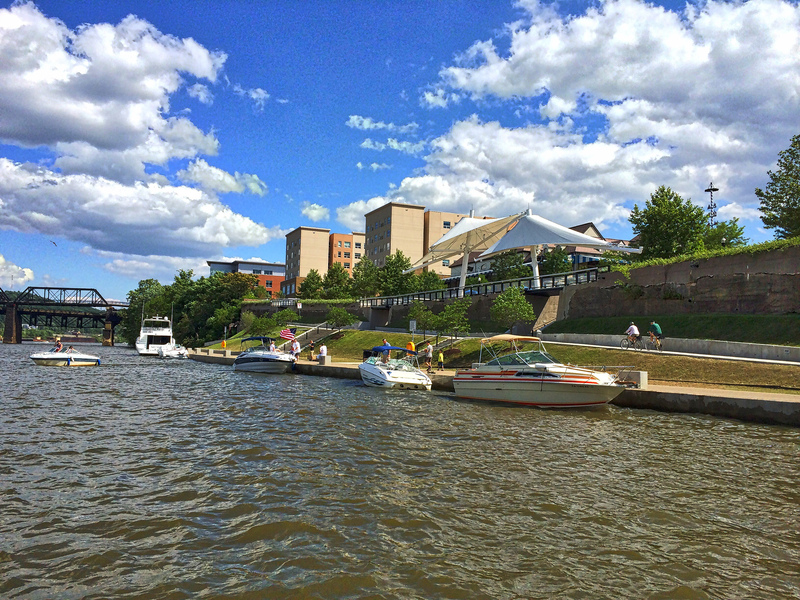 The River Landing provides public boat moorings as well as docking opportunities for local riverboat and water taxi services. A total of seventeen transient boat tie-ups were incorporated into the design along with a future accommodation for a canoe/kayak launch. 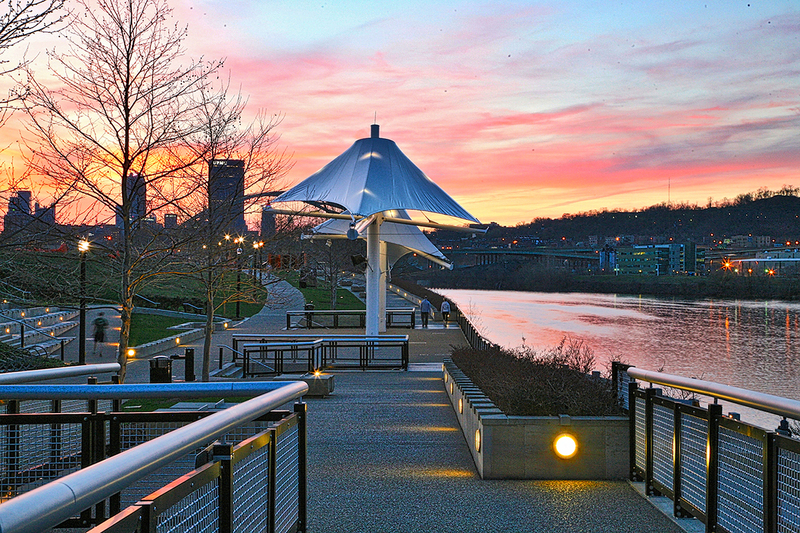 This is the first Monongahela River access that provides boaters with a direct connection to the city’s vibrant South Side businesses. These boating facilities have been expanded with a proposed public/private marina located adjacent to the park. 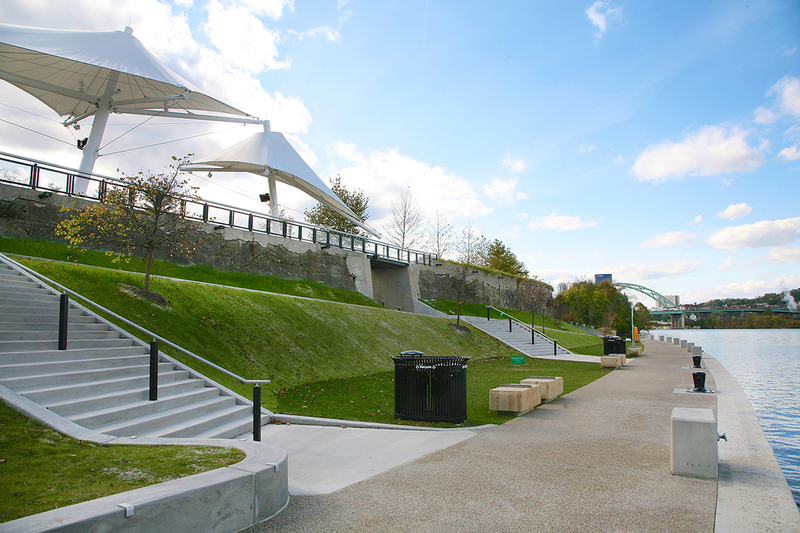 The EPD Team was responsible for all permitting related to the design approach and construction of the river landing. 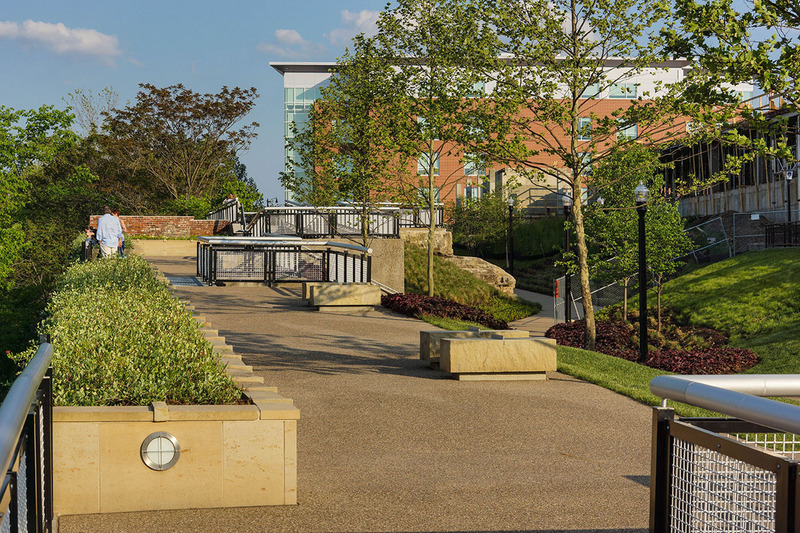 A total of five (5) phases of South Shore Riverfront Park have been constructed. 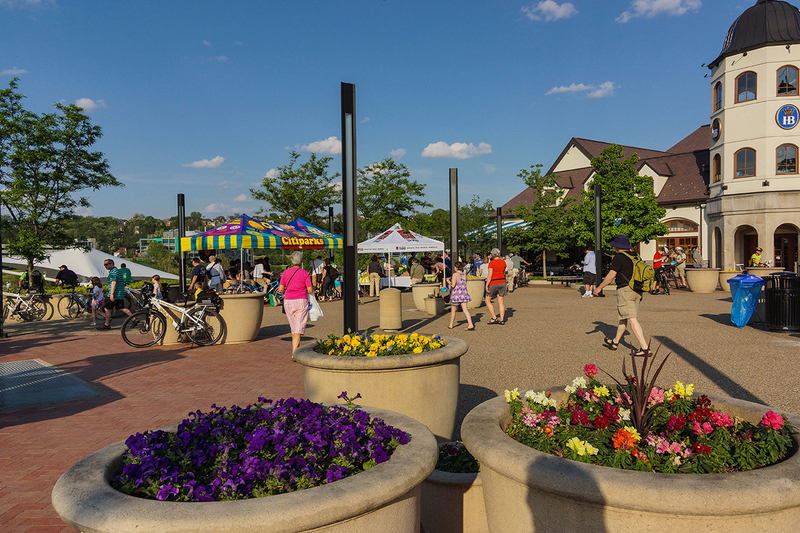 The Park’s grand opening for Phase 1 through 4 occurred in the Spring of 2012 and the final Phase of construction was completed in Winter 2013. 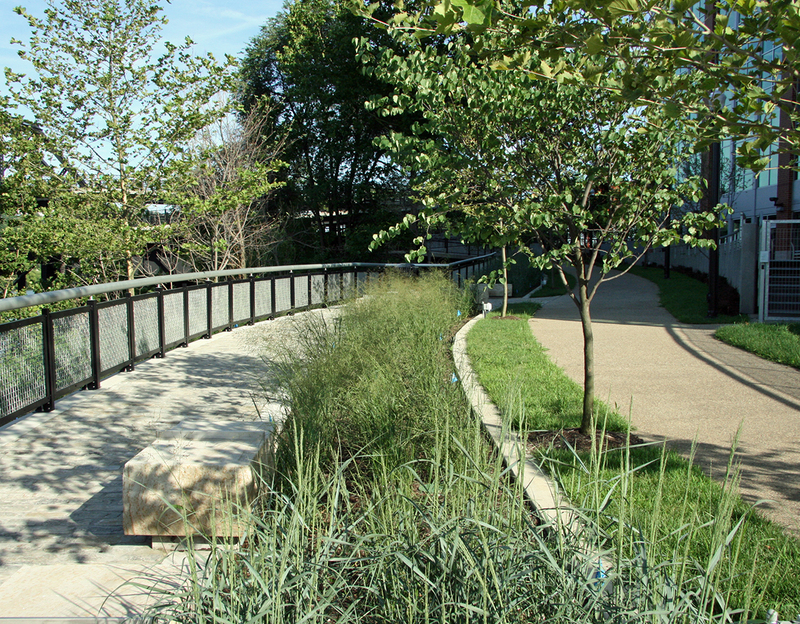 The Park introduces approaches to sustainability and resource management seen in no other Park within the City of Pittsburgh, including the use of recycled grey water for irrigation, the repurposing of historic materials found on site and the introduction of xeriscape-type plant materials.